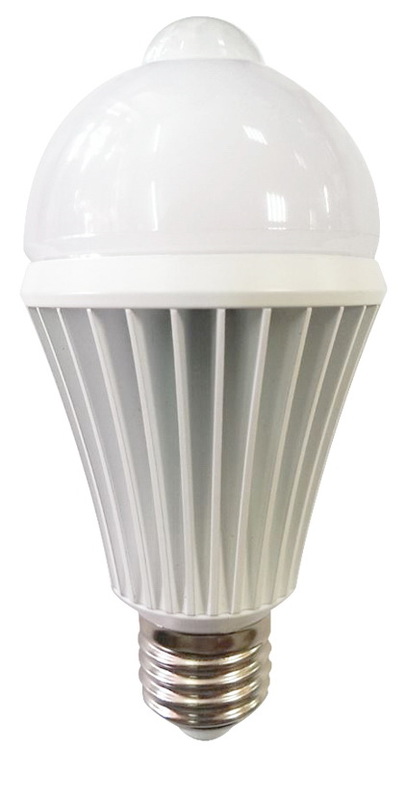 5630 LED light, the light does not have flicker, harmless to the human body, do not injure eyes and Operation life is about 30000 hours. 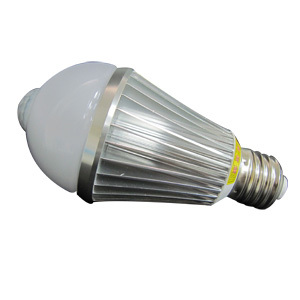 Good energy saving, long life, high efficiency, the life is 10 times of the traditional fluorescent lamp. Good color appearance, three situational functions and two color temperature can meet different needs base on different condition. A new type. 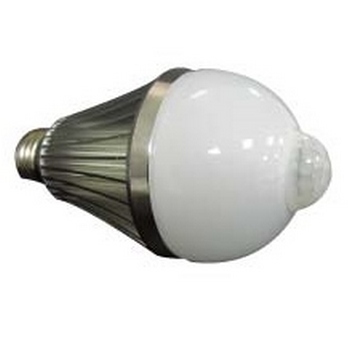 Can adjust time for LED sensing bulb, replace the traditional fixed-time LED sensing bulb. 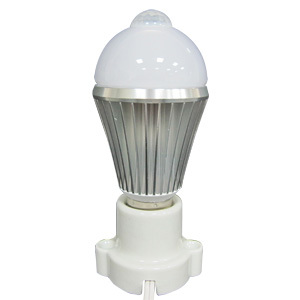 The lamp is isolated LED electric current designed definitely. The chassis is steel radiator and high light transmittance acrylics. Application places: Hallway, door gate, corridor, stairs, garage, balcony and basement & etc. 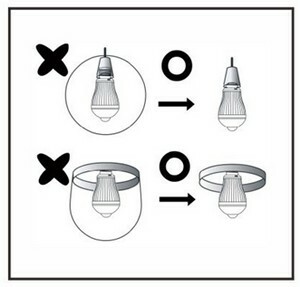 All day type(Micro-light 10%)：When people arrive, the light gradually to full brightness (100%), it begins to calculate the delay time, when people leave, the light fade to light (10%). (1) The factory delay time is 1 minute. 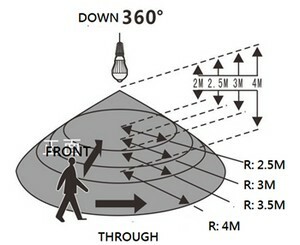 (2) The process of setting delay time. Power status --- Power switch OFF → ON (0.3SEC.) 3 times and enter setting model A. After red light flashes for 5 seconds → Keep red light on → automatically end after 10 sec. In 10 sec. OFF → ON enter B model. After red light flashes for 5 seconds → Keep green light on → automatically end after 10 sec. In 10 sec. OFF → ON enter C model. After red light flashes for 5 seconds → Keep blue light on → automatically end after 10 sec. In 10 sec. OFF → ON enter A model.